Bukchon village is famous for its renovated hanoks (traditional Korean houses) and winding alleys. The hanoks show a glimpse of traditional Korea, focusing on intricate details that make Bukchon village so unique. Built in the Joseon era, the neighborhood with hundreds of hanoks clustered together reminds visitors of traditional Korean culture. 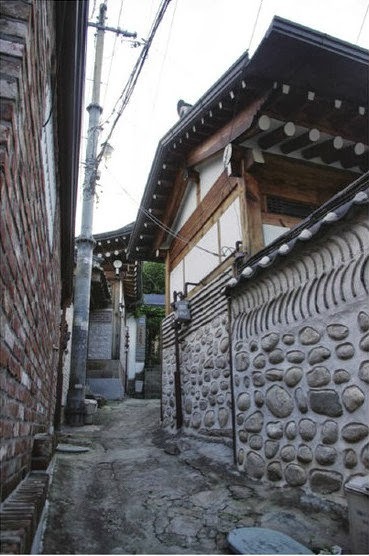 The village is famous for its 'Bukchon 8 views' which are eight great views of Bukchon Hanok village. 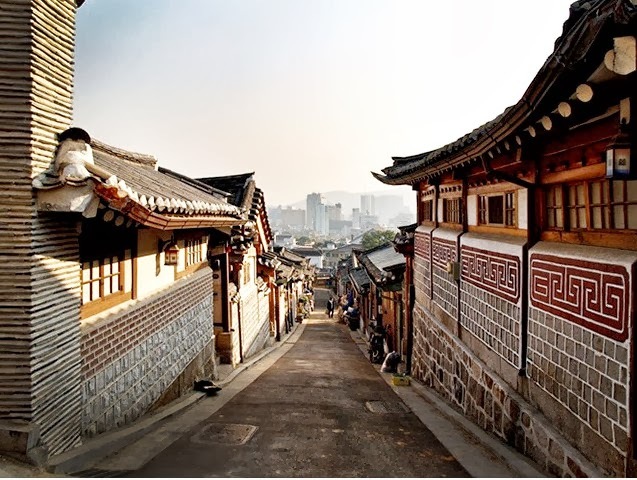 The most famous would have to be Gahoedong-gil where the past is preserved by maintaining the traditional exteriors. 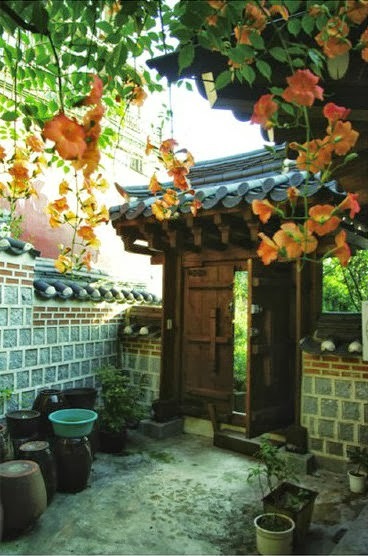 The village also offers a hanok guesthouse for international visitors to experience living in a beautiful hanok, but also housing the modern facilities expected. A traditionnal liquor brewery for Makgeolli (raw rice wine) is also popular among visitors. If you haven't tasted Makgeolli, you need to give it a try! Although the village offers stores, restaurants, and museum for tourists, this neighborhood is an actual residential place where many people live. It seems that the residents that live in the traditional hanoks step into the past each time they go home.